I think the spring migration period is pretty much over for us in Crail. The Isle of May has continued to have some goodies this week like a greenish warbler but nothing major has been found over our side of the water for a week or two. I had an optimistic look around the patch at Fife Ness this afternoon. 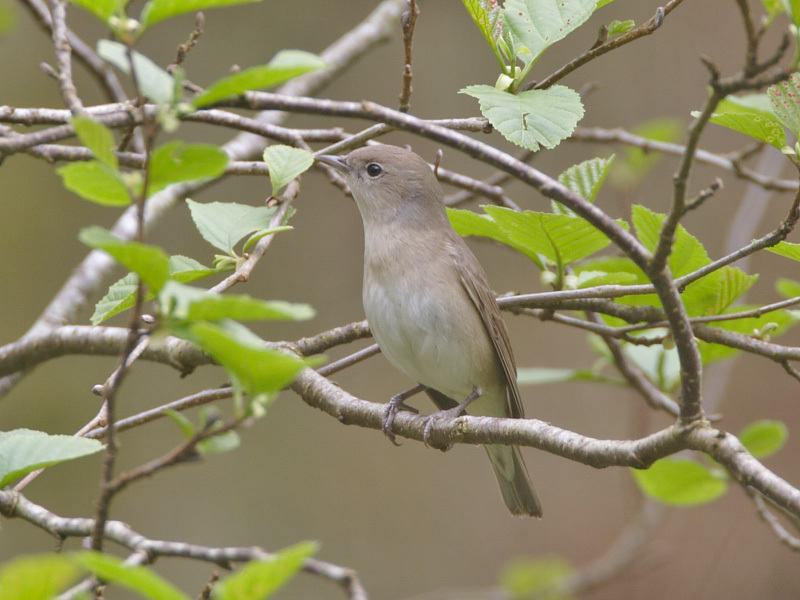 There was nothing out of the ordinary apart from a garden warbler. We only have them on passage in Crail so this was a late migrant. The last garden warbler I saw was in Nigeria last November and as always it was good to see this strong link with Africa in Crail. Although Garden warblers breed across much of Scotland I might only see a few a year here; last year I missed out completely. To my mind they are one of our best singers. This one was only doing a grumpy churring and some very soft sub-song. It was probably unhappy at getting to Europe so late this year. The whitethroats that also arrived from Africa at the beginning of May are now feeding chicks. I saw several busy looking parents with beakfuls of food between Balcomie and Fife Ness.